Intelligent Data Placement is a new concept that is introduced in Oracle 11g Release 2. 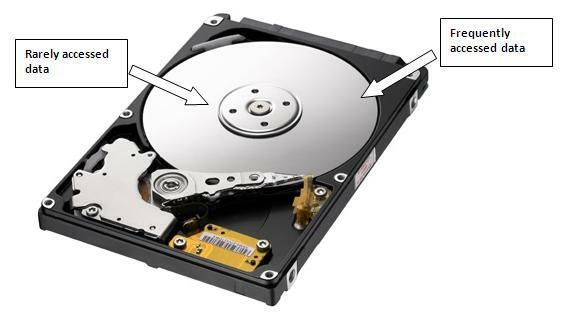 As we know that the data stored in disk (HDD) is mostly in circular manner on disk platter. There is 50% of the performance change between the inner side and outer side of the platter. Hot files area always provide a 50% better performance than cold files area given in the below figure. IDP feature always provides its best performance when ASM disks are whole disks. We can mark ASM files as HOT/COLD by using below statement. We can always rebalance the files by placing a single copy in HOT and other copy on COLD as shown in below figure. We can assign files to disk region by using template as well by below statements. To view the performance of any candidate files we can use below views. And to view the performance benefit we can use AWR report that was generated before the changes and the one that is generated now after making changes.